If you are a new visitor of my website then you may read last 3 year lists at these links. Now I publish list of Multibagger stocks for 2017.This list is updated once/twice a month and based on my fundamental analysis which publish on this blog once/twice a month. 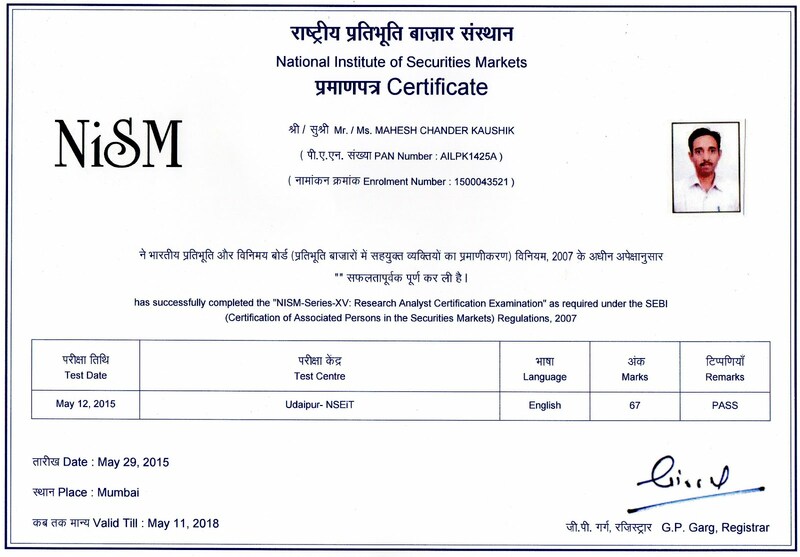 ( SEBI Registration Number INH 100000908 ) I also buy my own recommendations but as SEBI regulation I do not buy these securities 30 day before or after 5 days of publishing these research reports, please read full discloser on bottom of each research reports which links is given above. Hindi version of your book is very costly on amazon. Shipping and handling charges are subject 770/-. I can't afford this cost. Please guide me how I purchase it at its actual price. I m from utterakhand . 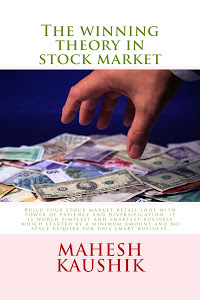 Please do not buy this book from Amazon.com because Listing of Amazon.com is only for followers who live in USA, Canada etc. I like your approach. Your Yearly high and yearly low ratioconcrpt, base price and net sales value are absolutely logical. My father is a share broker in a town. Could you please provide me your analysis on Technocraft industries Ltd. CMP is 220 and currently the promoters are buying the shares from the market @ 270/ share. I am planning to buy 500 of them, what do you opine ? Thanks in advance. No problem, good promoter holding and net sale per share is 250.
but in base price term base price is 149 only. So I think you lost best buying time in 2013 when this stock traded between 60-100 only so base price warn us that this stock already achieve his target near 250 and this time is not best for fresh buy. OK mahesh ji, now I'm re considering my decision. I have a fundamental question about but back of shares: After they decide to buy back and give a notice to NSE for buying back, can they exit from the market without buying back (even though the shares are available for them)? How does the mechanism works ? venture with industry experts. Big investors damani, kotak have already invested in this script. You've shown us how to calculate the base price of a stock from BSE website, taking Average price of 3 years. But won't this give a wrong value if there has been a split or bonus issue of shares or even dividend that effects the value of the share? Please advise. Thanks! Sir i have bought 300 tata elxsi @1915.i can hold it for 1 year..what is ur opinion about tata elxsi for 1 year term.plz suggest me. Why is it so , When H/L Ratio is below 2 then good buying opportunity? Hello Sir - How are you doing. I am regular reader of your blog. Thank you for all the work done by you and sharing with us. Could you provide your views on Aksh Optifibre. I am long term investor and bought 800 for the horizon of 3year. Can you please tell your analysis for Syncom Formulations. I am holding 20000 shares at 3.08. Thanks for your input Sir. I really appreciate the work you are doing. Also your videos on youtube are really helpful.